A membership site script will help make running a membership site very easy. Most scripts allow you to securely set up a website so that non-members can’t access your private content. There are many different membership site scripts available. Before you purchase a membership script, look for answers to the following questions on the script’s website. If you can’t find an answer, it’s best to look elsewhere. 1. Does the membership script have a satisfaction guarantee? Study the sales page for the membership script carefully to find a satisfaction guarantee. When a creator of a script includes this, you can buy the script confidently knowing that if you have trouble later you can file a refund request. If the script doesn’t function the way the creator promised, you’ll be able to get your money back. Reputable product creators understand this and will display this clearly on their sales page. 2. Does the script come with an instant use website template? Your membership site building process will go a lot easier if your script comes with a website template. The website template will allow you to set up the script and the basis for your website within just a matter of hours. You can normally edit the template with your own custom header and icon. 3. 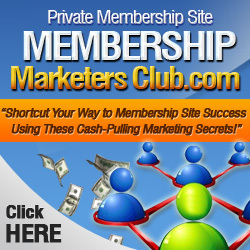 Does the membership script offer automatic activation for paid accounts? Once someone pays for their membership to your website, they’ll want to login right away. That’s why it’s so important that your membership site script offers automatic processing for member sign ups. This way the new members are automatically transferred to the login page, allowed to login and automatically activated to gain access to the site. 4. Does the script immediately send a welcome e-mail to new members? Many scripts offer this helpful option that allows you to build rapport with your new members immediately. A welcome e-mail will help make your new members confident about their purchase and introduce them to the major features of the website. This should be a standard feature on the membership script that you purchase. 5. Does the script allow for an affiliate program structure within the site? A lot of membership scripts will let you easily set up a multi-tier affiliate program within the site so you don’t have to use a third party affiliate program. If you’re planning on implementing an affiliate commission structure (and you should be!) this is an important feature to look for. Using a built in affiliate commissions structure will make your affiliate processing super simple. 6. Does the memberships script integrate with popular payment sites? You’ll save a lot of time and energy by finding a membership script that works with Paypal or other major payment processors. If you find a membership script that does this, you’ll be able to get started all the more quickly. 7. Do the script creators offer ongoing support? A membership script is totally worthless unless it is working properly. When you make an investment in a script, make sure that you can get the support you need so that your site can make you money. Look for promises of ongoing support on the sales page or reviews from current customers that prove the membership script creators follow through with those who purchase their product.